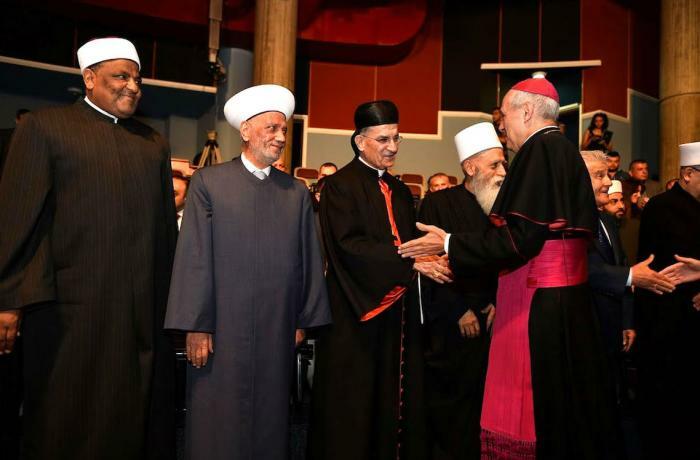 Cardinal al-Rahi praised the United Arab Emirates for hosting the Pope and sponsoring a joint Christian-Muslim declaration. During Mass, he highlighted anti-war warning in a region marked by conflicts. Yesterday, he spoke at the interfaith meeting. Abu Dhabi (AsiaNews/Agencies) – Maronite Patriarch Card Beshara al-Rahi praised the United Arab Emirates (UAE) for hosting Pope Francis in the first, historic visit by a pontiff to the Arabian Peninsula and for sponsoring a joint Christian-Muslim declaration that will serve as the basis for future relations between the two religions. Speaking at today’s final Mass, the prelate praised the UAE for its message of openness and for the honour of being the first in the Gulf region to welcome a pope. 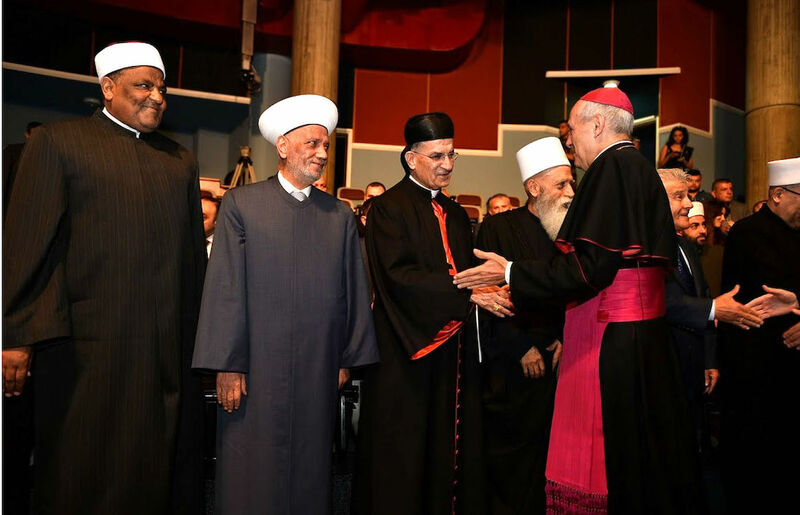 "This is an event of enormous importance and significance in the Middle East, deemed a region of war and conflicts between religions," al-Rahi explained. "Today, the United Arab Emirates told the world loud and clear that we are brothers, that religions are a source of brotherhood and that wars do not derive their origin in religions." "Christians must show the true image of Islam within their communities. At the same time, Muslims must strive to highlight the true face of Christianity" among their fellow believers. Yesterday, the prelate took part in the interfaith meeting in Abu Dhabi with about 700 other representatives of various religions. In his address, the primate of the Maronite Church called for an end to all wars and conflicts.